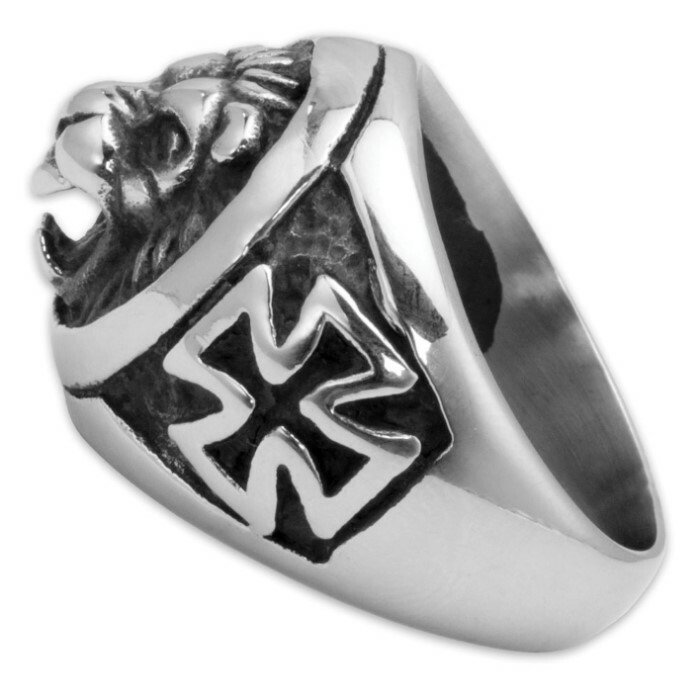 Lion And Cross Ring | BUDK.com - Knives & Swords At The Lowest Prices! 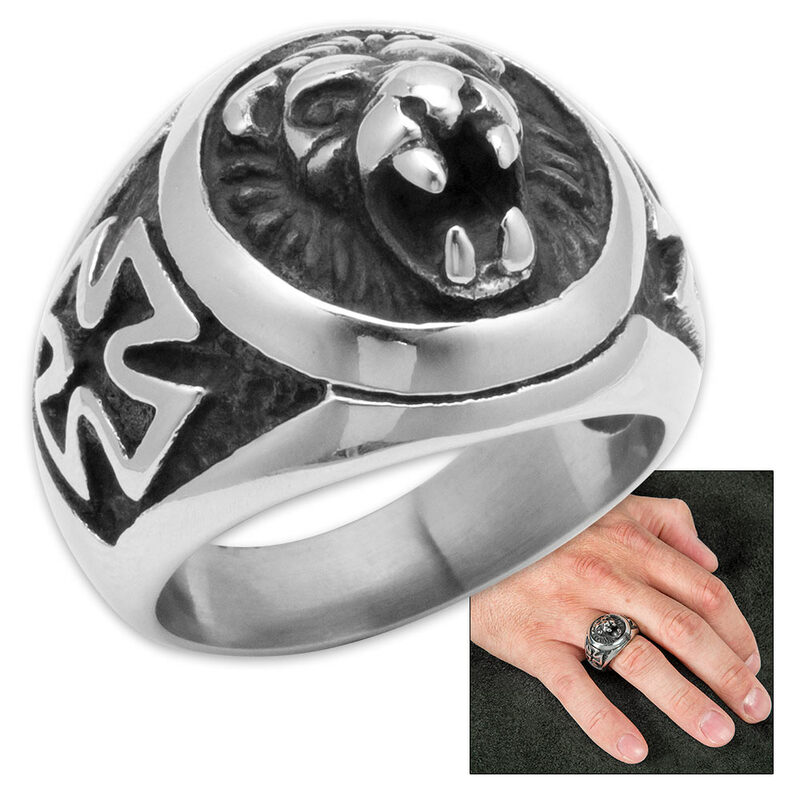 A fierce lion’s head with gaping mouth is flanked by an equal-armed cross on each side of our Lion and Cross Ring. Crafted of quality stainless steel, the ring features deep carved black detail which highlights the sculpted lion’s head and crosses. It is available in sizes 9, 10, 11 and 12. 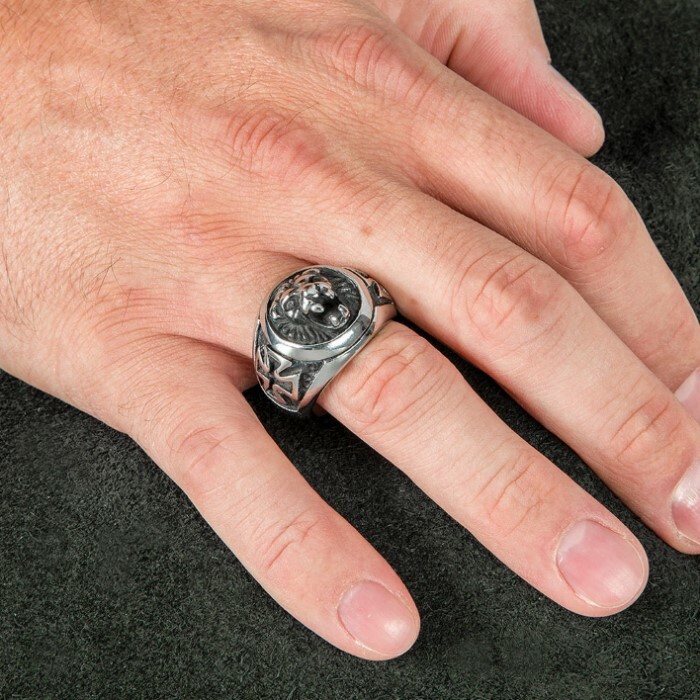 Wear this fierce ring when your dress up or down!